Dazzle your senses with a shower experience that transcends the physical and takes your mind on a path to relaxation. Shower Gels, Bar Soaps, Body Polishes and Body Frostings await the user who tires of the same generic bath item--packed with chemicals--and leaving them feeling bland emotionally and physically. Jewlu, on the other hand, enchants it's user with bases that are Paraben/harsh chemical free and feature signature fragrances such as Bergamot, Mango Fiesta and Bahama Colada--all of which are handmade. So if you're reading this message then you're already aware that your body yearns for a change, so stop waiting and choose Jewlu! Bar soaps are a tale as old as time and a staple here at Jewlu. Naturally derived and handmade, our bases include Aloe Vera, Olive Oil, Castile and Goat's Milk and exclude harsh chemicals, sulfates and Parabens! If that doesn't impress you we're sure popular scents such as Royal Orchid and Cucumber Melon will have you singing Jewlu's praises! Everyone's skin is beautiful but that doesn't mean we still don't have to help it along! Exfoliating is a great way to remove dead skin cells and reveal glowing, healthy skin of any shade. Jewlu's lauded Body Polish is your go-to if you want to achieve this feat with our finely granulated cane sugar, Shea Butter and Safflower Oil blend exfoliant. Scrubbing your skin twice a week will improve it's glow as it's butter and oil smooth/moisturize your skin! Check out our four body polish variations today! Shower gels can be a fun addition to any bath experience. Whether you love it's coldness compared to your shower temperature or those fragrant suds--shower gels are here to stay! 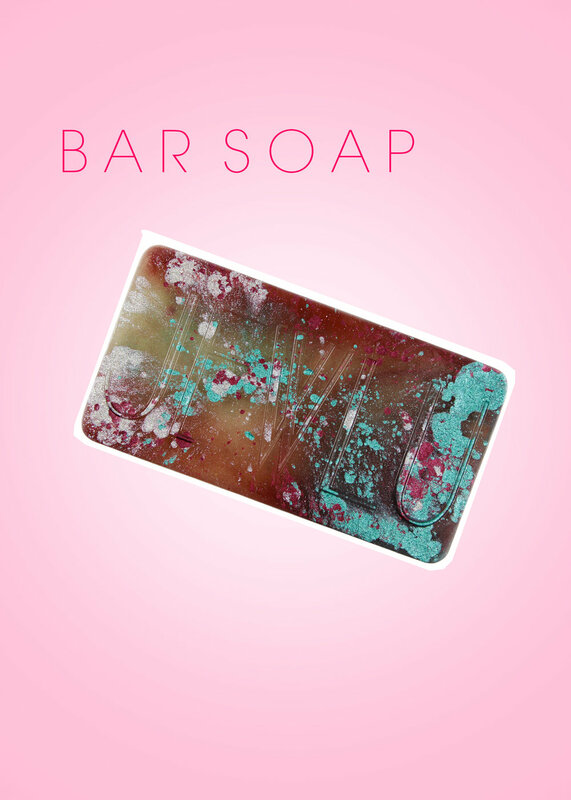 Here at Jewlu we have taken the formula one step further and removed harsh chemicals, Parabens, sulfates and animal fats--leaving you with a great soap base thats safe for your skin. Thank us later.